® Karney is a registered trademark of Wicki Stone in Great Meadows, New Jersey. Unique earth tone colors with a strong presence of grays and browns. Just one member of a family of Karney® stone products at Wicki Stone. Primarily gray and brown, with accent colors that can include rust, green and blue. 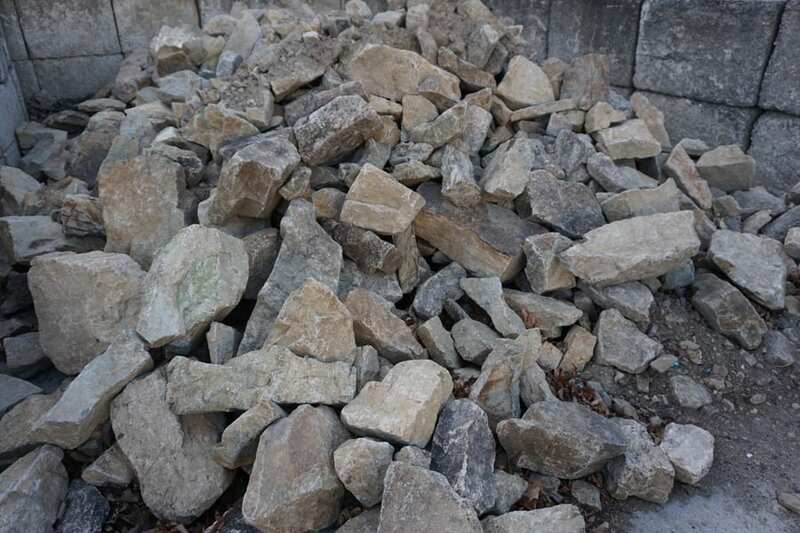 12 to 13 square feet per ton of stone. A ton produces a wall 2' high and 6 - 6.5' feet long - or any combination of height / length that equals 12 to 13 square feet of wall surface area. By weight. You can pick up 10 pieces or we can deliver 20 tons and anything in between. With loose wallstone you can get more precise quantities and the stone is of mixed sizes - giving it maximum flexibility. 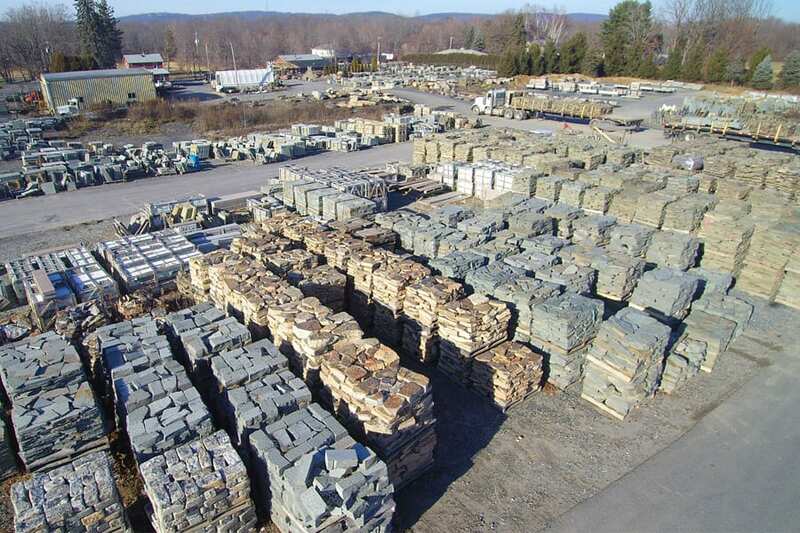 Part of our wall stone inventory area at Wicki Stone. 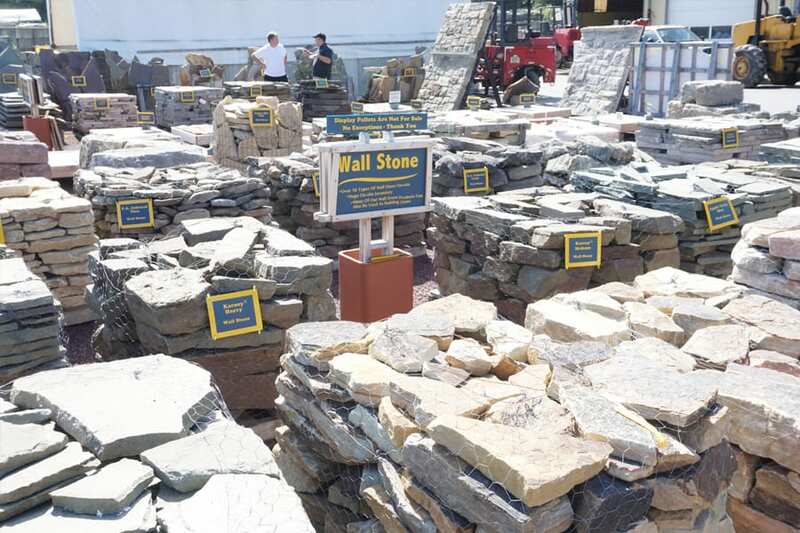 Our wall stone display area allows you to see our palleted wall stone choices side by side. How much wall stone do I need for my project? Similar Products - What Goes With This Stone?